Congratulations Diana Gutierrez on your Community Changemaker Award! Maryland Green Registry Leadership Award! 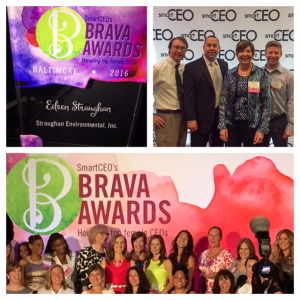 On June 14, Straughan was the recipient of a 2016 Maryland Green Registry Leadership Award! 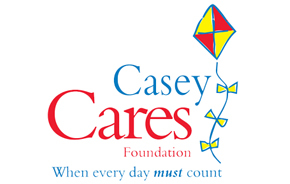 Straughan is sponsoring a holiday fundraiser for the Casey Cares Foundation! 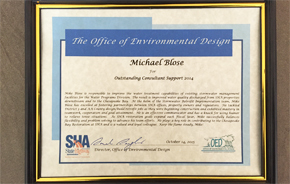 Straughan has received an award for Outstanding Consultant Support! See you at the Mid-Atlantic Stream Restoration Conference! We'll be presenting at the Mid-Atlantic Stream Restoration Conference and hope to see you there! Restoration Research Grant Program Award! Straughan was recently awarded 1 of 4 grants under the Restoration Research Grant Program! Upcoming event presented by AIA COTE Baltimore on the IgCC - details here! Methodology for Pavement Application Using Foam Stabilized Base project wins 2nd place! 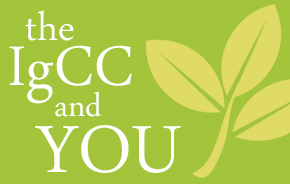 Recent Event: How does the IgCC affect YOU? This event took a comprehensive look at how the new IgCC requirements affect the A/E community.